Cambodia is a land of water and the perfect place to experience an exciting boat trip. The great Mekong River flows through the center of the country, passing through jungles and rapids and along remote outposts, villages and islands. It is also the home of such creatures as the Giant Mekong Catfish and Irrawaddy Freshwater Dolphins. 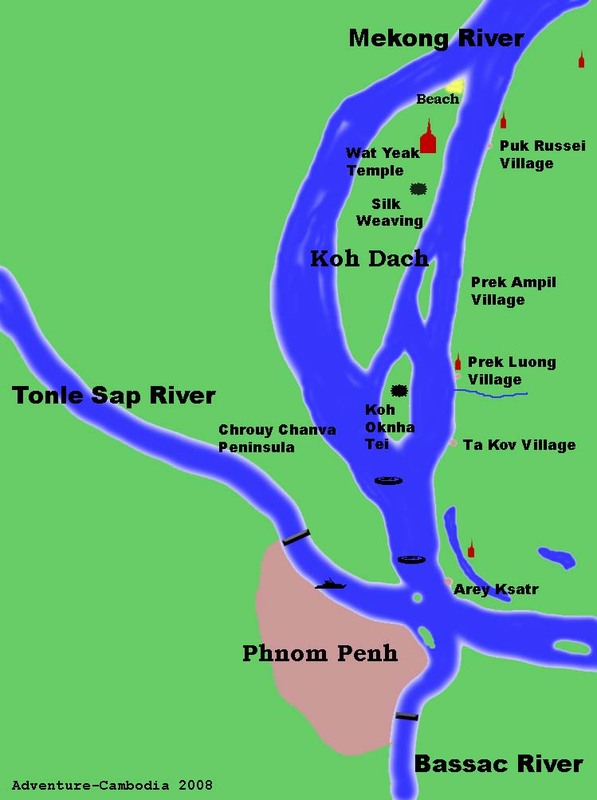 At the "Four Rivers" region, the Mekong crosses paths with the mysterious Tonle Sap River, the only river of such volume in the world that actually reverses direction twice per year. Floating villages and fishing communities can be found on the great Tonle Sap Lake, a freshwater lake which serves as an enormous source of fish and in ancient times served as a great naval battleground between the Khmer Empire and its enemies. Numerous scenic jungle streams and rivers flow out from Cambodia's highlands, some of which can be explored by river boat or kayak. 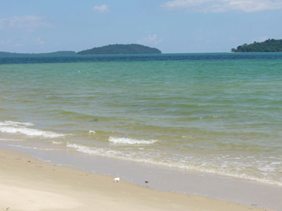 Cambodia's pristine coastal waters provide a great opportunity for boat travel and island hopping as well as deep-sea fishing, snorkeling, scuba diving and ocean kayaking among other ocean adventures. Go to RIVER TRIPS. 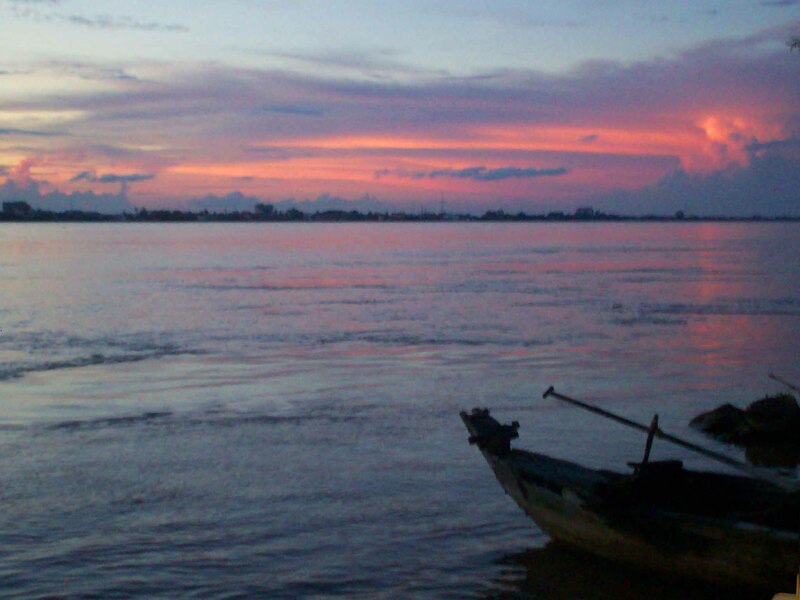 Why not experience the Mekong River as you travel between Siem Reap and Phnom Penh? A one-day tour includes lunch and dinner on board a two-deck wooden boat as well as excursions on the islands and swimming at a sandy island beach. Arrive at Phnom Penh in time to watch the sunset over the river. Cambodia's greatest rivers, the Mekong and the Tonle Sap cross directly in front of Phnom Penh's Royal Palace (named the "Four Rivers Palace" for it's view), giving birth to the smaller Bassac River and creating a geographical X. A short boat cruise through the four rivers area offers excellent views of Phnom Penh and the Royal Palace as well as nearby fishing communities and minorities. In only a one or two hour cruise, it is possible to travel the length of Phnom Penh and through the crossing rivers. 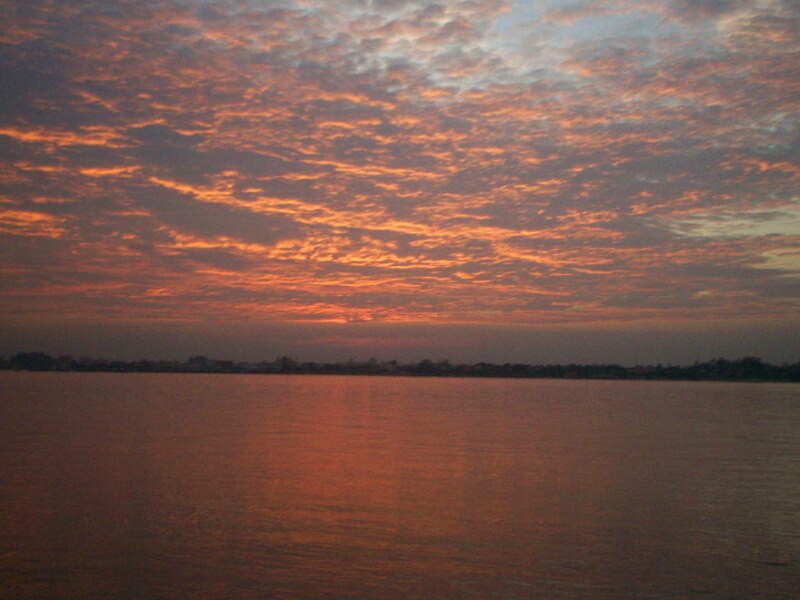 Sunset viewed from the Mekong over the Four Rivers and Phnom Penh is a sight not to be missed. A half-day or day trip on the Mekong by boat from Phnom Penh will bring you to rural countryside, farms and orchards, a silk weaving village and the scenic Silk Islands. 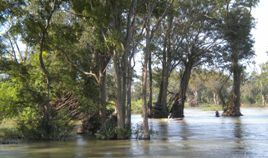 One of the most unique river terrains in the region, the flooded forests of the Mekong River North of Stung Treng can be considered one of the natural wonders of Cambodia. The flooded forests can be visited in a multi-day trip by kayak. Cambodia's rare Mekong Freshwater Dolphins, also referred to as Irrawaddy Dolphins, can be seen at numerous deep water pools located on the Mekong River in northern Cambodia. It is possible to visit the remote dolphin pools of the Mekong Dolphins Trail by kayak. Easier to reach are the dolphin pools of Kampi north of Kratie. These can be visited by boat. An adventure fishing trip in the remote region of the Mekong is a unique way to experience the river as well as see a part of the country not often visited. Check out our 2-day Dolphins and Mekong Boat Tour from Siem Reap to Phnom Penh. 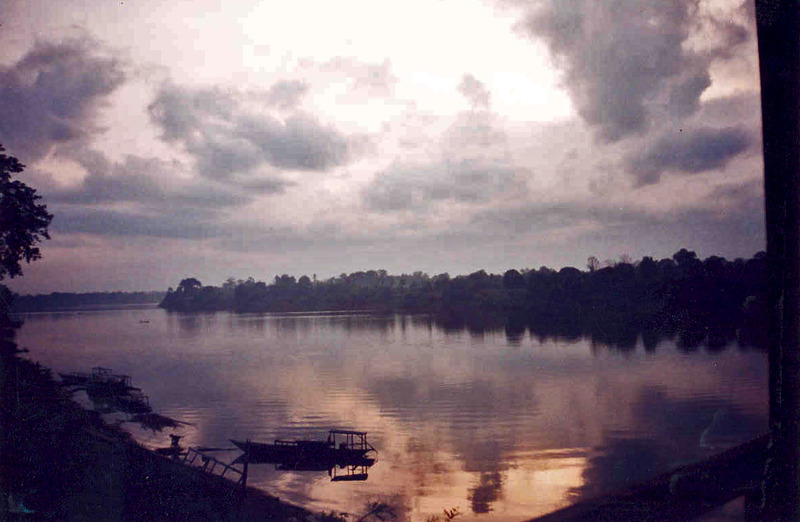 The Mekong South of Phnom Penh connects to the border crossing at Chau Doc and is a popular route for travelers heading into the Mekong Delta. A fastboat connects Phnom Penh to Siem Reap via the Tonle Sap River and Lake. It takes approximately 6 hours, but there is little chance for sightseeing as it travels fast and in the center of the lake for the most part. Slowboat trips on the Tonle Sap can be rewarding as they offer a chance to visit the floating villages and fishing communities of the great lake. Depending on the water levels, a fast boat often operates connecting Siem Reap to Battambang via the Tonle Sap Lake and the Sangker River which offers some chances for sightseeing along the way. A number of floating villages can be visited by boat from the docks on the Tonle Sap Lake near Siem Reap. 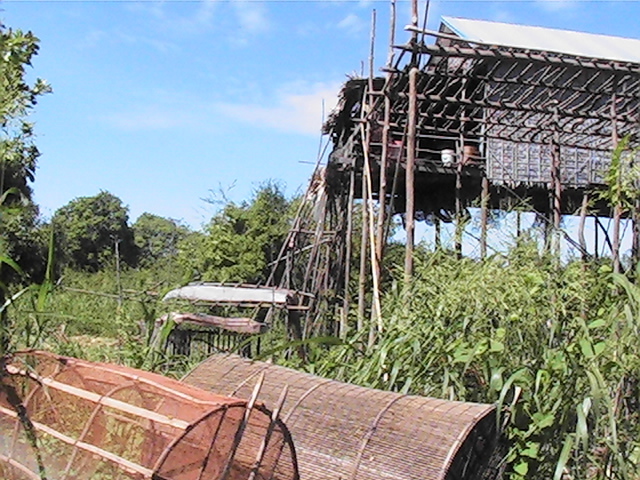 The Prek Toal Bird Sanctuary of the Western Region of the Tonle Sap Lake can be visited from Siem Reap in a day trip, although fees for visiting the sanctuary can be quite high. Ride a long boat through remote jungles, stopping at minority villages and navigating around sand banks while traveling up the Se San River in Ratanakiri Province. The remote Se San River can be visited in combination with a trekking tour. Go island hopping off of Cambodia's coast by boat, visiting the desert islands of your dreams. Camp out or stay in rustic bungalows, visit the interiors of unexplored islands and discover pristine beaches. 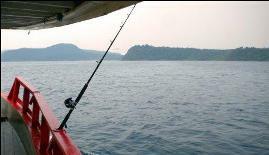 Popular sea activities include snorkeling, scuba diving, ocean kayaking and deep-sea fishing. Contact Us via an easy form to learn more about boat trips in Cambodia.